Yogensha, the young man who would one day wear the mask of Kendo Nagasaki, was privileged to undergo a most remarkable and rare experience: he literally sat at the feet of his sensei, Kenshiro Abbe, and was instructed in the philosophy of Kyu Shin Do. 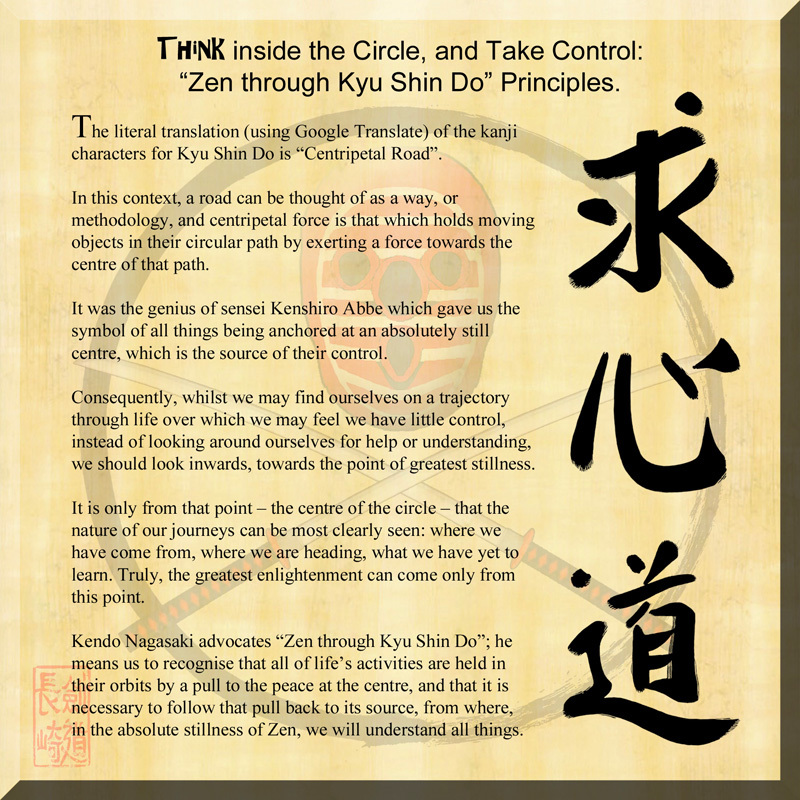 It has taken over 50 years of meditation by Yogensha and guidance by the spirit guide Kendo Nagasaki to find a way to put the philosophy into words, but this has finally happened, and Kendo Nagasaki now presents his disarmingly simple introduction to the deepest of wisdom, empowerment, and peace: Kyu Shin Do. Kendo recommends that one thinks upon these symbols and principles before meditating, and the process will become more powerful and contain deeper revelations. Kyu Shin Do is a route to the deepest understanding of those things which escape the mind, but which are fundamental to peace, empowerment, and wisdom. Keep watching the Blog for announcements on all things Kendo! Copyright © 2000 - 2014 Nagasaki Media Ltd. All Rights Reserved.